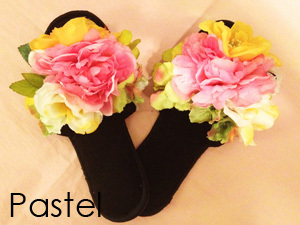 And your feet will laugh in these flowers, so let’s dance in the sun and and wear flowers on our feet. 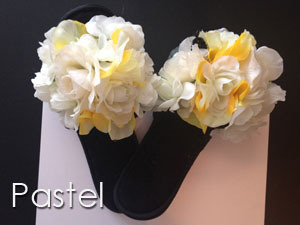 Our flower slippers start with the same quality slipper base as our marabou, then are hand-crafted with quality silk flowers. 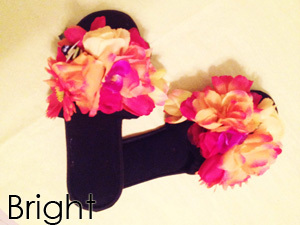 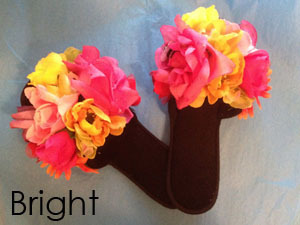 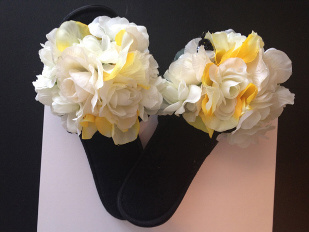 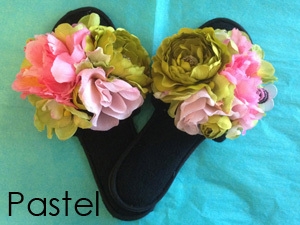 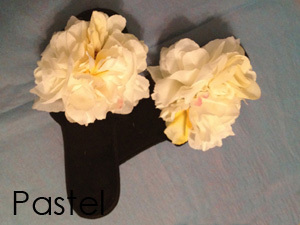 Our flower slippers are handmade to order and come in a choice of pastel or brights. 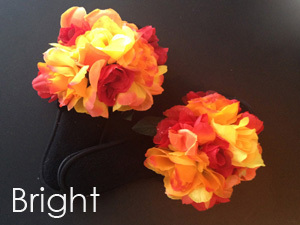 If you would like specific flowers and colors, please contact us and our designer will call you to go over your selections. 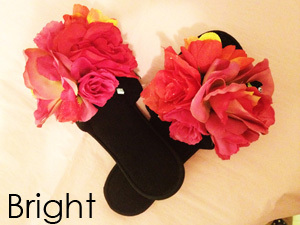 Our soles are made from a durable rubber, and the foot bed is padded black terry velour.